InfoAg begins with the pre-conference tour on Monday. Please note that the tour is a conference extra and requires an additional fee. 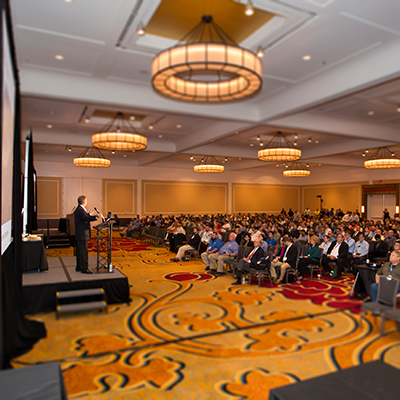 InfoAg Conference begins on Tuesday morning with our Opening plenary session followed by lunch and time in the PrecisionAg Professional Tech Center. After lunch we offer four concurrent sessions. In the evening is the reception in the exhibit hall. Wednesday continues with concurrent sessions, PrecisionAg Professional plenary session and more breakouts and evening reception. Thursday morning is the last time to see the exhibits, then concurrent sessions followed by the Closing plenary session. Scroll down the page for the general program layout and times. Questions about registration, contact registrations@infoag.org or call (217) 762-7955.